It was surely the most talked -about ‘Wedding of the Year’ as Marriott Internationa collaborated with India’s leading designer duo – Abu Jani & Sandeep Khosla for their brand “Shaadi by Marriott”. 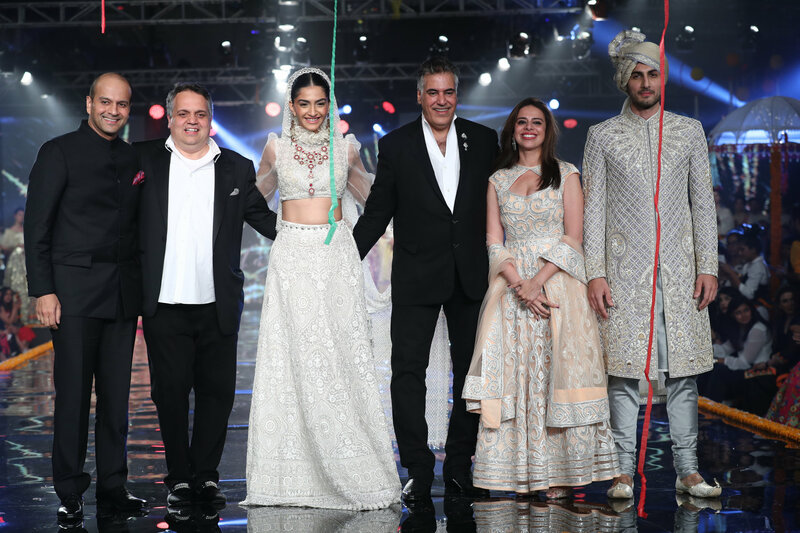 The Mumbai-based designers came together to curate an extraordinary wedding experience with showstopper Sonam Kapoor. The grand runway presentation saw the presence of the country’s who’s, who. The grand celebration was hosted by Abu Jani and Sandeep Khosla and brand CEO Saudamini Mattu along with Neeraj Govil and Khushnooma Kapadia of Marriott Int. A bevy of stars including names like Jaya Bachchan, Shweta Nanda, Nitasha Nanda, Ridhima Kapoor, Pinky Reddy, Amrita Singh and Sara Ali Khan, Pernia Qureshi, Mandira Bedi, Mandira Kapur, Shalini Passi, Sonia Pasi, Jayati Puri, Shobhana Bhartia, Amrita Bakshi, Shahnaz Husain, Sandeep Gupta, Rani Kapur, Swarnim Garg, Manju Garg, Vartika Garg, Kiran Chopra etc were seen at this fancy do. Here’s a quick dekko ! The shaadi-themed runway show was conducted in five parts where the designers showcased a beautiful line up of bridal couture collection for this season. 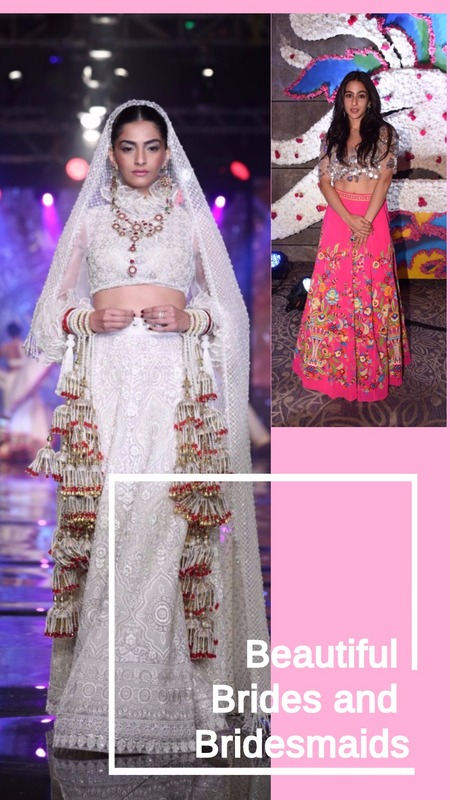 Each wedding ritual from an Indian wedding was picked as the central theme of each sub-collection and from engagement to haldi, mehendi and shaadi were celebrated in the most stunning sartorial fashion. The showstopper of the show was Sonam Kapoor’s, who donned a ‘Burano’ bridal lehenga inspired by Venice. The ensemble was accentuated with intricate embroidery encrusted and Swarovski crystals that shimmered on the runway.